The Modbus protocol is a communication protocol based on the master-slave principle, which was developed by Gould-Medicon. As an open protocol, Modbus has found its way into industrial communication and is being used there as ubiquitous de-facto standard for programmable logic controllers. The open Modbus protocol enables communication between one master and several slaves. With this, the two available versions of Modbus refer to the Ethernet and the serial interface (EIA-232 & EIA-485). Modbus also shows differences in regard to the data transfer. The Modbus protocol is a communication protocol based on the master-slave principle, which was developed by Gould-Medicon. As an open protocol, Modbus has found its way into industrial communication and is being used there as ubiquitous de-facto standard for programmable logic controllers. The open Modbus protocol enables communication between one master and several slaves. 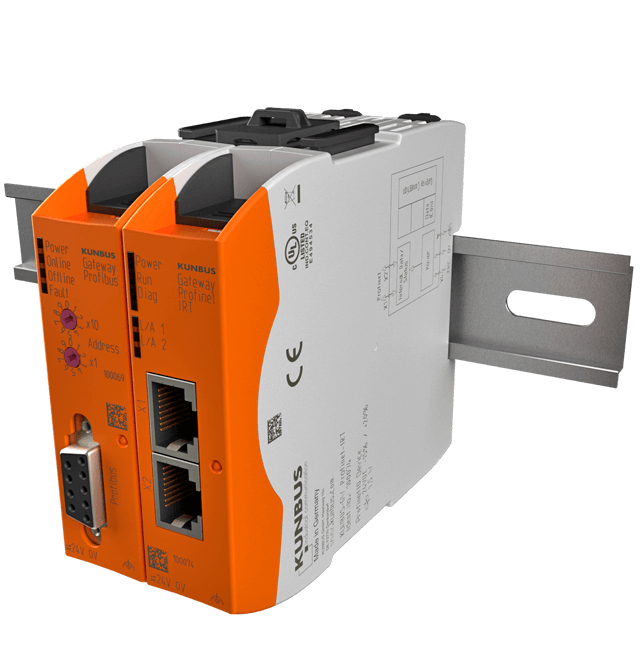 With this, the two available versions of Modbus refer to the Ethernet and the serial interface (EIA-232 & EIA-485). Modbus also shows differences in regard to the data transfer. As each communication participant can send messages via the bus, each of them must receive a corresponding and unique address. The address 0 is reserved for broadcast. Although each participant may send messages, sending is normally initiated by the master and only answered by a slave. The Modbus RTU interface (RTU = Remote Terminal Unit) makes it possible to set up a remote operation or remote maintenance terminal. The RTU interface thus becomes a control-based or control instrument. The RTU interface is used in energy distribution, energy generation, energy transmission, and in process engineering. It thus becomes possible to perform control, checking, and monitoring of individual processes from a control center. The control center and the RTU interface communicate either wirelessly or via a so-called pilot cable. A power line carrier (PLC) serves for transfer of control data on a high-voltage line. Enterprises increasingly use optical waveguides to create an increase in the transfer capacity. As an open protocol, Modbus RTU enables the connection of field devices via serial interfaces (RS-485 or RS-232). This includes for example sensors, controllers, and actuators. Already for quite some time, production automation as well as process automation fall back to the protocol, which represents the basis of digital networks in the network installation hierarchy. The Modbus RTU protocol enables two communication variants. These are known as Unicast and Broadcast. With the Unicast variant, a request is sent from the master to the slave. The master device then waits for the answer. However, “address 0” is the addressee with the broadcast variant. That is where the request from the master device is sent. The broadcast procedure designates one-way communication. Accordingly, all slave devices in the network receive the transmitted message, but there is no answer to the master. The transfer in the Modbus RTU protocol is an 8-bit binary transfer. As start/stop bits are used, b byte here is composed of 11 bits. Parity is used to be able to recognize a bit sequence not transferred correctly. The parity here defines the number of bits assigned 1. With an even number, it is called “even”, and with an odd number it is called “odd”. A further stop bit is added when parity is not to be used. In this case as wellthe byte is composed of 11 bits.